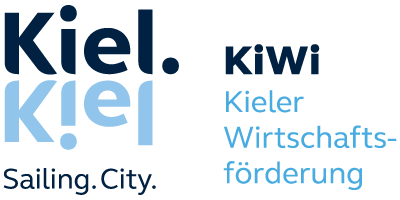 The KIWI GmbH are the business consultants of Kiel - federal state capital of Schleswig-Holstein - and contractors for economical success. We are actively engaged in working with businesses, the public administration and universities as well promoting a wide range of services and innovative products, along with settlements of companies and corporate developments of any branch and size. We support investors, and market business locations, as well as develop our own urban commercial areas and configure conversion areas. Currently work – living – leisure utilizations modules are being realized as part of a 75 hectares “Future on the Waterfront” project. Besides a private wharf, commercial and industrial buildings have been optimally developed to utilize existing infrastructure. The key challenge for innovation policy in Schleswig-Holstein is the same as is it for the rest of Europe – to become more competitive and to foster more dense and efficient cooperation between R&D&I institutions and companies. Maritime economy (maritime technologies, specialised ship construction, offshore energy (wind, oil, gas), maritime biotechnology, production facilities, wind parks, facilities to refuel ships with LNG or other alternative fuels, innovative harbour infrastructures for the cruise economy). Enhancement of quality and impact of the regional system for education and qualification to foster the development of the knowledge-based economy. The activities specified in the RIS3 strategy are funded by the European Regional Development Fund (ERDF). Nearly 79% (215.5 Million €) of the total ERDF-budget (271.2 Million €) is divided between the five smart specialization areas. Additional funding is available at the national level.